Killer Customz blog: Taking it all in...Logan Karnow. Taking it all in...Logan Karnow. Every little kid who throws a leg over a motorcycle dreams of the pros. 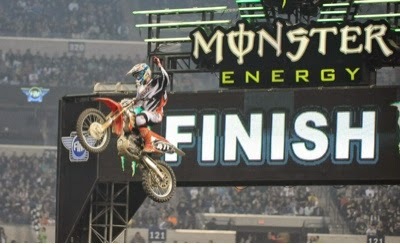 My 4 year old son runs around the house, "Dad should I be Ryan Dungey or Trey Canard?" It's starting already. Logan Karnow was raised amongst racers. Mom, dad and uncles all spent time racing at high levels. "Dirt bikes are definitely in my blood!" Growing up in Vermilion, Ohio just 5 miles from KTM's headquarters had Logan surrounded by the sport. KTM would use the Karnow home track for their catalog photo shoots a few years during Logan's amateur career. Seeing the sport from all angles would have Logan's dreams grow bigger. 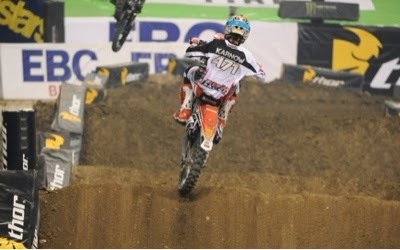 A true privateer. The 20 year old is in his 2nd professional season and traveling the country with his dad in a sprinter van. "I practice and race the same bike." Logan is really enjoying supercross and taking in the atmosphere. In fact, he is having a blast. Cruising around on his scooter, doing tricks and talking with other riders. "I'm always making jokes before the races." He does have a serious side. When the goggles go on, it's all business and the nerves kick in. "Sitting on the line and looking around at 50,000 people that are watching you is crazy." He loves it though. It is what Logan has worked so hard his entire life for. The hard work would pay off this season in Indianapolis, Indiana. He'd put the number 471 in to the first main event of his career. "I came across the finish line in my heat race and my good friend, Justin Starling was on the next jump with his hands up and gave me a hug." Logan says that's what made it all sink in. "My dad and I actually shed some tears." He'd go on to a 19th in his first ever main event. With just one more round left on the east, Logan has been working hard on his starts. Saying that is his weak point, he'd joke "hey, at least I'm getting good at passing though!" 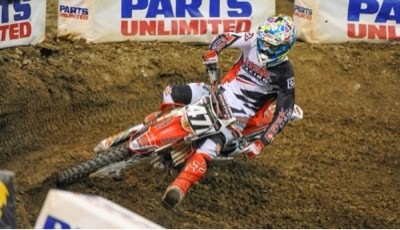 He is going in to New Jersey ready to lay it all out and get in to another main. Logan is backed by Team PR-MX-CA, The Kruza Family, Risk Racing, TLR Performance, Two7Designs, On the Edge, Bolt Hardware, Sunstar, CrushedMX, Works Connection, Mototape, 100%, Pro Circuit and 6D. He'd also like to give a big thank you to Terri Kruza for everything that she has done to help. She is like a mother to Logan and takes care of him while he is in Florida. "I can't thank her enough." Logan, congrats dude. You went out and accomplished what every little kid dreams of when they are playing in their sandbox. Go get another one. Killer Customz MX / Kyle Pesci. Awesome Inc. theme. Powered by Blogger.